Are you a renter interested in up to date information regarding the legal protection of residential tenants? Are you looking for information, education, support and research on residential tenancy matters? 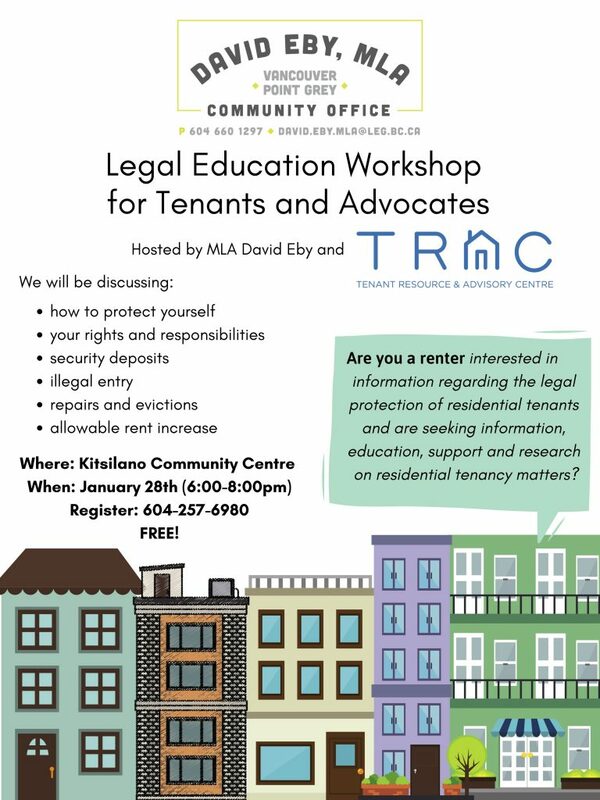 Join a free legal education workshop for tenants and advocates hosted by MLA David Eby and TRAC (Tenant Resource & Advisory Centre). We will be discussing: how to protect yourself; your rights and responsibilities; security deposits; illegal entry; repairs and evictions; and allowable rent increase.